Pimp Clock - the fully customizable clock for your iPad is here. Short review about how Pimp Clock works and feels and about how you can customize it to get the most of it. First of all, Pimp Clock is an application created for Apple iPad. 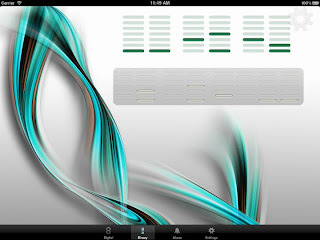 It runs on iPad 2 and also on the first generation of iPad. The features are the same on both devices and the application behavior should be identical. If some guys that did a show where they could "Pimp their Ride", why shouldn't you be able to Pimp your Clock ? 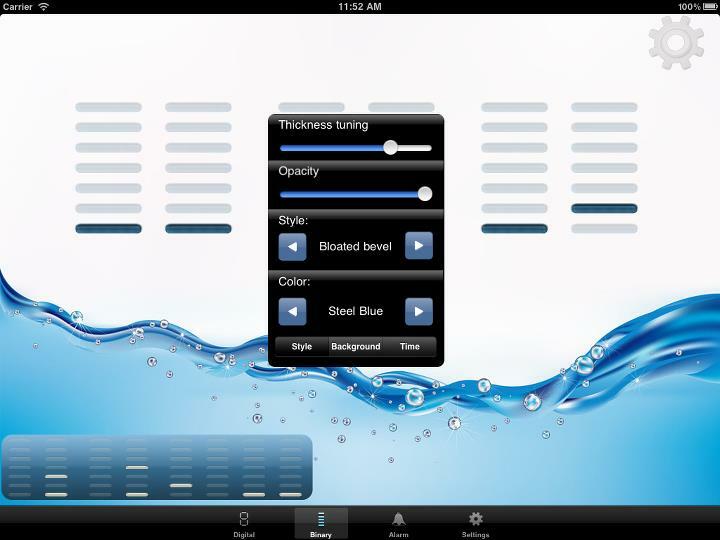 Having this in mind, we created this wonderful application that allows you to fully customize the way the Time and Date are displayed on that gorgeous iPad screen. You can set a wide range of parameters like: color, texture, size, shape, position for the clock and date, but we'll cover each parameter this later in this review. The clock and date can be displayed in digital format for an easy reading. Pimp Clock - Binary Clock and Date - Let the geek inside run wild! If you are bored with the digital format you can choose to use the binary display to do some brain workout. It takes some time to read binary but someone has to do it :). PimpClock includes a detailed help page where you can find out more about binary and how to read it - just check it out. Even if you don't want to read it, it's really cool looking. 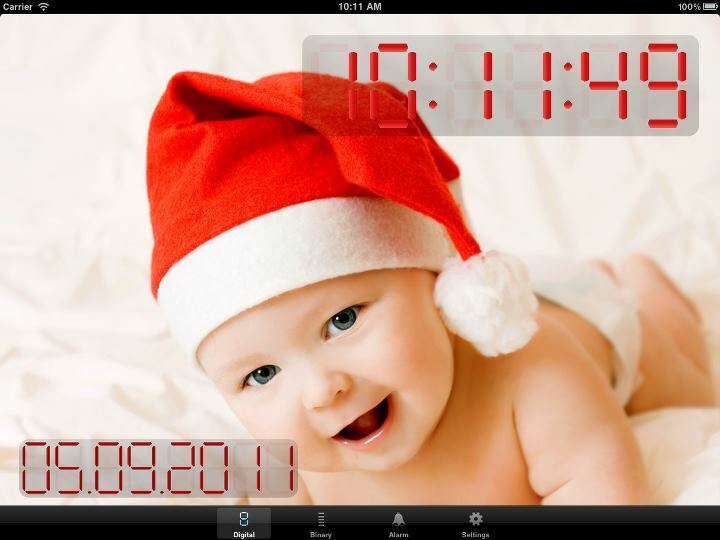 The Binary Clock and Date have basically the same customizable features like the Digital Clock and Date. In addition to the features mentioned above, we added the BCD system to make reading easier. By using the BCD system the number 28 (11100 - in binary) becomes 2 and 8 (10, 100 - in BCD). Instead reading a large binary number, you read two small binary numbers. More on binary and BCD can be found in the app's help. 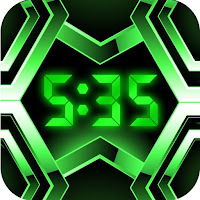 Like all respectable clocks designed for the iPad, PimpClock has a cool and intuitive alarm clock. Waking up sometimes poses problems to all of us but it's nice to have the option of fully customizing the way we want to be woken up. The snooze length, snooze melody, alarm melody can make your life easier.We designed different wake up songs for alarm and snooze so you know for sure when you need to wake up for real and when you can take a little nap. The snooze-once system makes sure you don't oversleep by allowing you to press snooze only once. Maybe you want to snooze for 1 minute or you have the royalty option to snooze for 30 minutes, it's really up to you. The alarm is configurable only in normal digital system even if you display the clock in binary so there will never be a confusion/mistake when setting it. 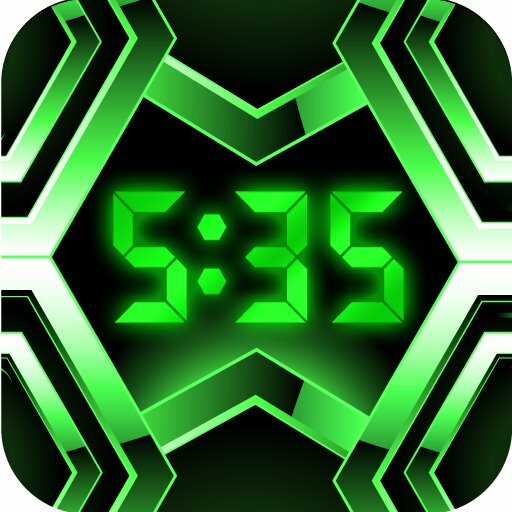 Get Pimp Clock from the Apple's AppStore. Check out Pimp Clock on Facebook.